Archbishop William E. Lori of Baltimore said that the U.S. bishops’ efforts to push back against the “erosion of religious liberty” is an American response, not a partisan battle. Archbishop Lori chairs the U.S. Conference of Catholic Bishops’ Ad Hoc Committee for Religious Liberty. He gave his remarks June 6 on a conference call with Catholic communications professionals from across the United States. Across the country, dioceses are preparing for the Fortnight for Freedom, 14 days dedicated to prayer, education and public action on religious liberty issues. The U.S. bishops called for the Fortnight in the Ad Hoc Committee for Religious Liberty’s March 2012 statement, “Our First, Most Cherished Liberty.” National and diocesan events are planned for the Fortnight, which begins with a Mass in Baltimore June 21 and ends July 4. At the forefront of the U.S. bishops’ religious liberty concerns is the U.S. Department of Health and Human Services’ mandate that all employers, including most Catholic employers, provide insurance coverage for contraception, sterilization and abortion-inducing drugs, which violate church teaching. The U.S. bishops are not trying to expand the liberties enjoyed by the Catholic Church in the United States, but rather to preserve those liberties “for the sake of the mission,” Archbishop Lori said. The church is also defending the rights of “conscientious individuals” who want their personal and professional lives to comport with their personal convictions, he said. Last month, 43 Catholic entities filed 12 lawsuits against the federal government over the HHS mandate. Neither the Archdiocese of Baltimore nor any Catholic organizations in the archdiocese are among the lawsuits’ plaintiffs. Archbishop Lori plans to update the U.S. Conference of Catholic Bishops on religious liberty efforts at their annual Spring General Assembly June 13-15 in Atlanta. The U.S. bishops are working with all three branches of the federal government to overturn the HHS mandate. However, the overturn of the HHS mandate would not alleviate the bishops’ overarching concern, Archbishop Lori said. The Fortnight includes the June 22 feast day of Sts. John Fisher and Thomas More, who were martyred in 1535 for their refusal to reject their Catholic faith at the behest of King Henry VIII. 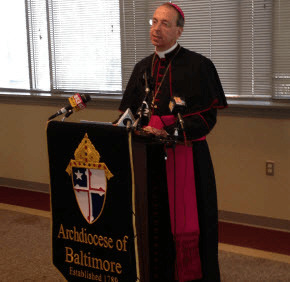 Archbishop Lori said the U.S. bishops are not afraid to take a similar stand. 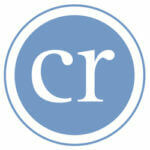 For more articles pertaining to religious liberty, click here.